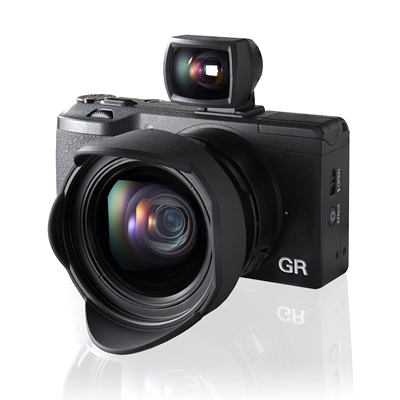 Firmware Update for the Ricoh GR offers higher speed focus option and more! Ricoh just made available for download the version 4.0 of firmware for it's well-regarded fixed lens, (28mm plus a 21mm conversion lens), that offers some novel features. If you're stuck for space on a card and want to shed just the jpgs or else only the RAW files you can do that, or selectively with just one file. Also one can choose in the setup a fast shutter speed!!! These, to me, are the new features that immediately seem most useful. Added [Shift Crop] on [Effect] of [Shooting] menu. Added [AF Mode] on [Set up] menu. It has two options: [Normal] or [High speed]. Added [Card Sequence No.] on [Setup] menu. It has two options: [On] or [Off]. When deleting an image taken with RAW+ on Playback Mode, [Delete RAW+ JPEG], [Delete JPEG only] or [Delete RAW only] can be selected instead of [Delete One]. Improved operational performance for [Aperture Preview]. Improved stability for USB connection with Mac. *Contents of [Version 3.00] and earlier version will be also updated. If updating firmware is novel to you for this unique camera, first read this short instruction.....one starts by turning the camera off and setting the camera to movie mode! Then explore the new functions and post your experience! Once again we're looked after by RICOH.